Mickey and Gus spend a lazy day together, going on a series of ordinary adventures and also smoking some weed. In a misdirect from last episode, Gus' act of good will does not defuse the situation with the store clerk and Mickey gets indignantly angry. Mickey won't let Gus walk away without paying him back though, giving an excuse for our protagonists to get to know each other while walking to Mickey's place. Unfortunately Ambien contributed to Mickey losing her wallet at Bliss House, so the two go out to find it and it is miraculously safe. I feel like "what do you do when you find a lost wallet?" is one of those evergreen cliché ethics questions. Before getting food Mickey suggests some marijuana and it's unclear how much Gus has smoked in the past. Probably not a lot. Gus proceeds to be regrettably high and makes a series of mistakes like describing Spaceballs in detail, driving to his former girlfriend's place and throwing out all his Blu Rays. Natalie and Gus get in a fight and Natalie reveals that she never cheated on him before and that was just an excuse to break up. Mickey finally drives Gus home, where they exchange phone numbers. * The realistic small talk was really on point this episode. Most shows don't allow for those little moments of silence that actually happen when two strangers are conversing, at least without lampshading it with a "silence is awkward" or some other method of pointing it out. As someone who is anxious about small talk, I can relate too much. * The box says "Gus' DVDs" although he is very insistent they are Blu Rays. * "She's so cool, but a little bit scary." I'm not familiar with the actress who plays Bertie, but she has such a positive, weird energy and the writers give her a lot of the best lines. "You're like a 40 year old 12 year old." Such a perfect line. And yes, Bertie is excellent! I have never seen that actress in anything before but she's great. *looks at imdb* Oh hey, she was in Trainwreck! She was one of the hilarious moms at Amy's sister's party. I totally disagreed with his assessment of Toy Story 3. It is a beautiful film with a powerful ending that makes me cry every time I see it. I believe the Toy Story trilogy is one of the most solid film trilogies, start to finish, in cinema history. I will argue this while completely sober. As others have pointed out, this feels a bit like You're the Worst. If you haven't seen that show, stop watching this and go watch that instead. It starts funny but raunchy, then gets deeper and more painfully real, eventually skirting up against being an actual drama. It's one of the very best things on television. I liked this. It has the usual Apatow problems with pacing, in which he takes a solid comedic premise and pads it out by 30%. I wish he would commit to being a pretty solid successor to Albert Brooks, but he seems intent on being a poor successor to Woody Allen. I will admit though, that it does go by much smoother whenever Rust and Jacobs are together on-screen. I enjoyed it and will watch more, for sure. 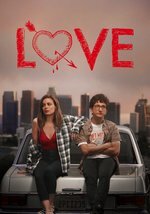 Also, very impressive that Gillian Jacobs's character is an oddball female in a romantic comedy dating a repressed dude and she still manages to be 0% Manic Pixie Dream Girl. She's not just the inciting incident in some dude's journey, she's an actual person. I don't agree with this, but I don't know how to argue it without referring backwards and forwards through the full series, so I will look forward to seeing how this is discussed through the full arc. Jacobs is an amazing actress and brings so much to the part, but I was continually frustrated at how her part was written. I liked this episode a lot, including the smoking scene, though I also agree with the pacing comment. The deliberate pacing is great, but there was still a fair bit of unnecessary padding and this episode especially could have been tightened up. Ugh, that makes me worry, Dip Flash. I hope that what Jacobs is putting into the character isn't outweighed by bad ideas in future episodes. This show makes me laugh out loud but feel very very weird and confused after I do it. Also I love love love love Bertie. Unfortunately -- after having watched all 10 episodes of this show -- I thought this was the best one. This episode made me happy. The other episodes did not make me happy. Mickey and Gus had a wonderful time with each other in this episode. Isn't that a big part of what love is about? Bertie is played by comedian Claudia O'Doherty. She co-authored the hilarious book 100 Facts About Pandas with Irish comedian David O'Doherty (no relation) and made a series of shorts for C4 a couple of years ago (that I posted on the Blue). I didn't realise until just now, though, that she's also the daughter of Reg Mombassa, artist and founding member of Mental As Anything (he's the gentleman with the mullet and white guitar on the left).